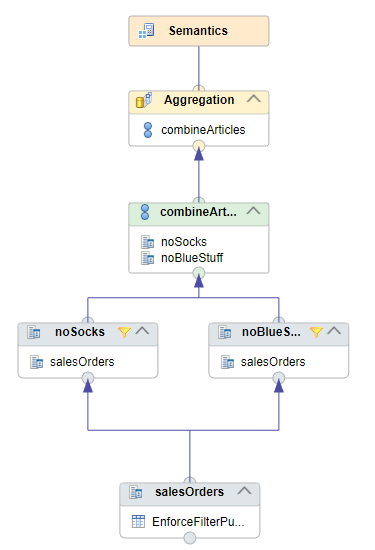 Output when filter push-down is enforced: neither “socks” nor “blue” articles are shown in the output as they are filtered before reaching the two consuming nodes. As you can see in this situation different results are obtained depending on whether filter push-down is enforced by the flag or not. Therefore, a good understanding of the flags is requried.